Enjoy the space saving convenience of City Garden. Ideal for patios, decks, small backyards or balconies. 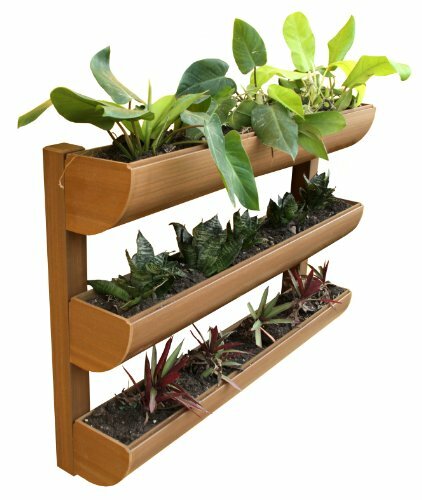 Grow herbs, fruits, vegetables or your favorite flowers and plants. CHEM-WOOD, our proprietary composite material, gives you years of maintenance free enjoyment. It is important to know that you are using an environment friendly product as it is made from sustainable wood components and contains no lead or heavy-metals. All important attributes to health and environment conscious gardeners. Assembly is a breeze as there are no tools or hardware required. More durable and lower maintenance than real wood. Fire retardant, water and termite resistant. Expandable. If you have any questions about this product by D C America, contact us by completing and submitting the form below. If you are looking for a specif part number, please include it with your message.